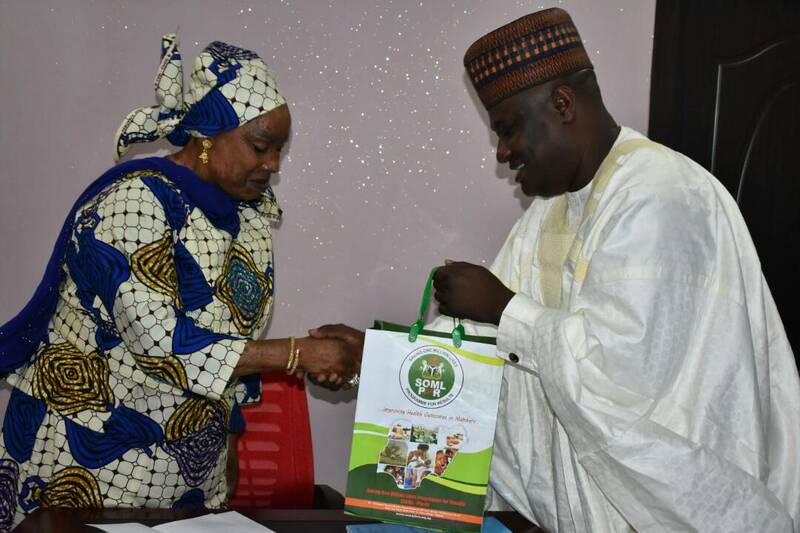 SOML-PForR – A Courtesy visit by the SOML-PforR Boss to The FCT Health and Human Services Secretariat. A Courtesy visit by the SOML-PforR Boss to The FCT Health and Human Services Secretariat. The National program manager SOML-PforR, Dr. Ibrahim Kana on a courtesy visit to the FCT Health and Human Services Secretariat (HHSS) Boss, Barr. Amanda Pam at her office. The Visit was to strengthen the relation between FMH SOML-PfroR and the FCT HHSS and for further collaborations. Dr. Kana who was accompanied by the SOML-PfroR North-Central and North-East Coordinator, Dr. Okara Dogara added that the results of the performance evaluation of SOML-PforR for 2016/2017 which placed FCT as the North-Central champion amongst the twelve (12) state of the federation that qualify to earn more funds from the program. 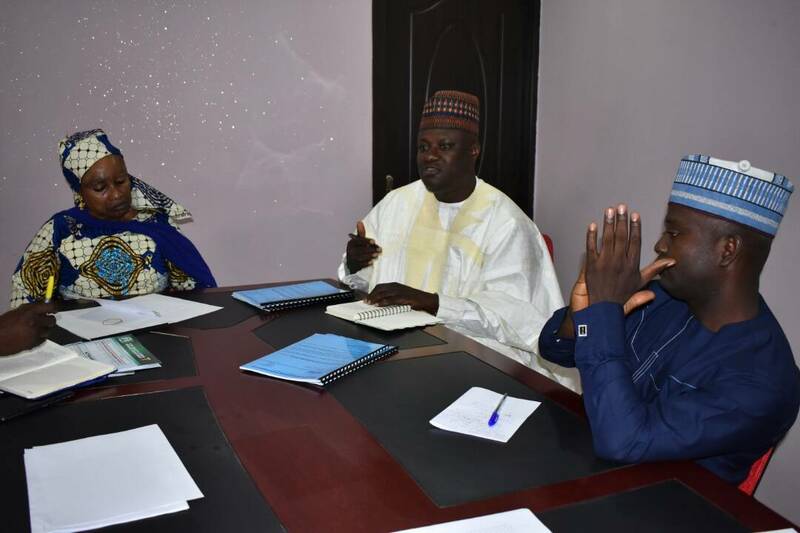 On the issue of bureaucratic bottle necks, Dr. Kana promised to pay an advocacy visit to the Honorable FCT Minister, Mallam, Muhammad Musa Bello and the Permanent Secretary FCTA, Sir, Chinyeaka Ohaa with a view to create more awareness and the smooth implementation of FCT SOML-PfroR work plans. The HHSS Boss Barr. 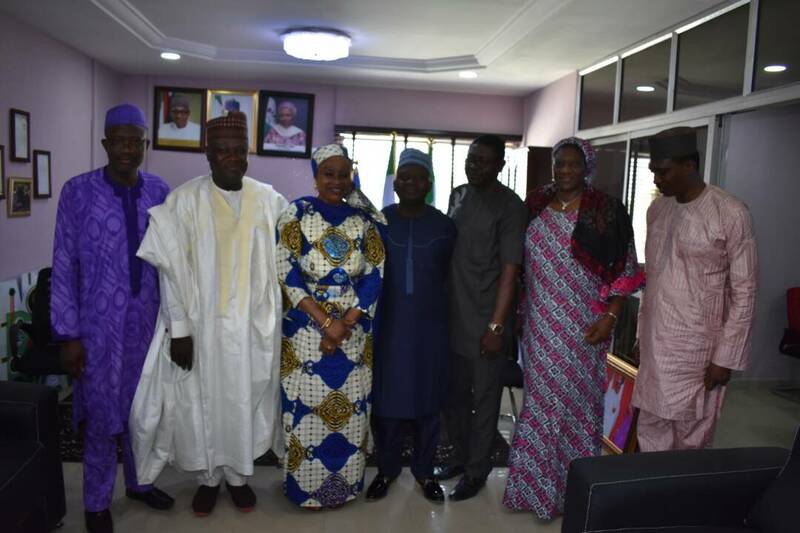 Pam assured the SOML-PforR Boss of the FCT administration’s unflinching support towards achieving the set objectives of the SOML-PfroR in the territory.